By Megan O Brien | March 17, 2019. Dub Daze, a new Irish feature film that was written, directed and produced by Irish filmmaker Shane Collins, is a collection of coming of age stories based in Dublin. The film follows three different stories set in the north, south and inner city and provides a window for the audience to watch the characters navigate new worlds and come to terms with the harsh realities of life that we must face eventually. Songwriter Fi tries to break into the cut-throat music scene. Students Dan and Baz try to find some fun on their last day of school. And medical students Jack and Sean attempt to understand the world of Dublin’s affluent youth. This low budget film is charming and funny and is impossible to watch without finding yourself thinking how relatable it is. There is a massive cast of 47 actors in Dub Daze, many of which are from areas in Dublin including the Liberties. 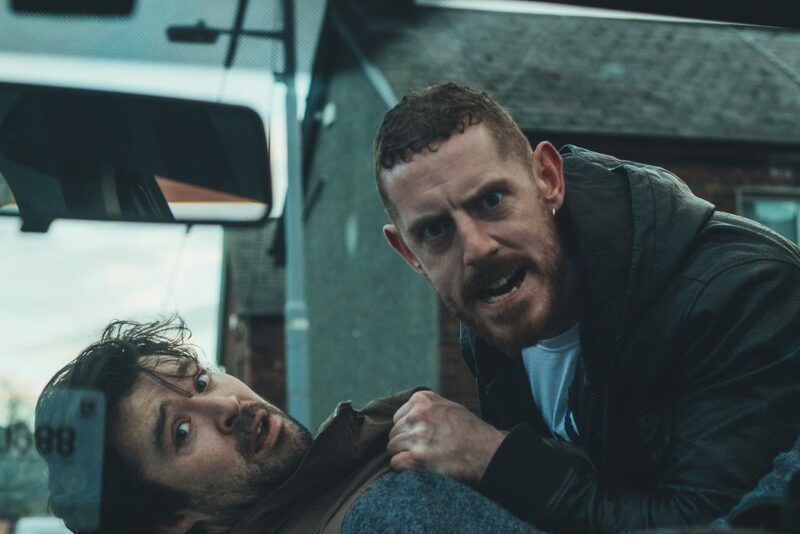 Clide Delaney who plays drug dealer ‘Petal’ is from Tyrone road in Inchicore and Graeme Coughlan who plays the know it all taxi driver Ger, is from Cabra. Clide Delaney would agree to a certain extent and says that “there were some real characters around the area”, however there was a lot of problems with drugs and crime at the time Delaney was growing up and as a result he would spend a lot of time around Thomas St. where his mother’s side of the family comes from. In contrast to this, Coughlan found acting by chance. An electrician by trade, he discovered acting and “was instantly hooked”. “It’s helped me a lot and has helped give me a different perspective on life” says Coughlan. Both actors have worked hard to get to this point. Delaney co-founded Amigo’s theatre and is now living in London while Coughlan wrote and produced his own short last year. Although they have had different experiences, both agree that where they’re from and the experiences they had whilst growing up in the Liberties has definitely influenced their work. As for Delaney who plays bad guy ‘Petal’ in the film he feels growing up in an area that was long associated with crime and drugs definitely gave him an insight into how to play a certain role.